Universal size fits most bins. Ideal for applications where high visibility is a necessity. The Bin•Clip™ Label Holder is made of flexible, clear UV treated PVC that is bar code compatible. The clear window cover protects label inserts from dust, abrasion, humidity, chemicals, and light. 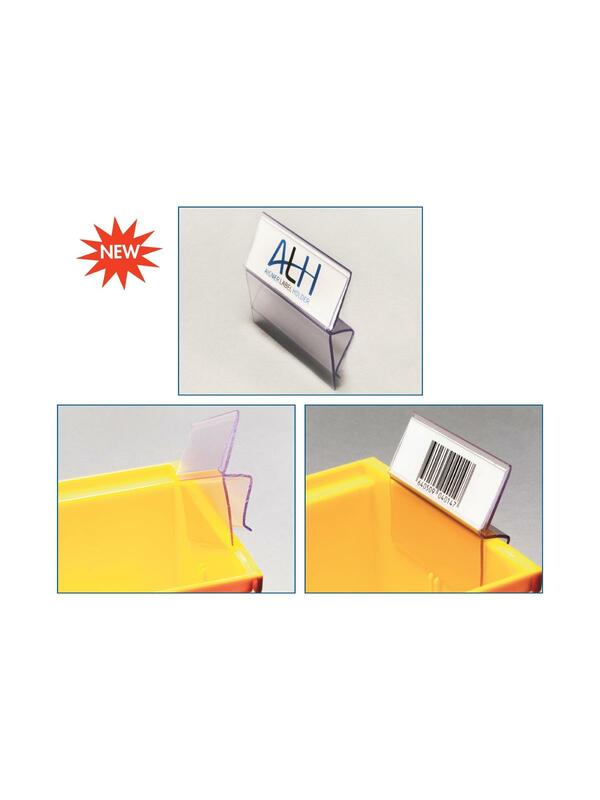 The easy clip-on compression clamp makes label changing and bin rotating effortless. 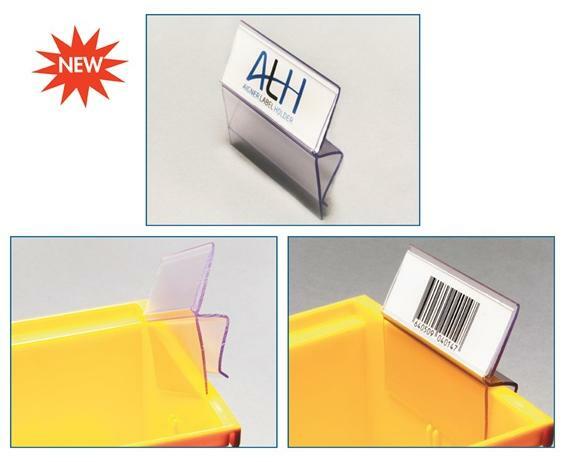 The 1" x 3" label holders are packaged with 3 sheets of Laser inserts and instructions. 25 per package. FOB Shipping Point.